The Lakeside Multiplex for the Village of Burns Lake is a significant expansion of an existing arena and recreation facility to add a new multipurpose and childcare spaces, a new fitness centre, squash and racquetball courts, and a welcoming new entry and lobby complete with climbing wall. Extensive use of wood in the interior and full-span glazing in the lobby showcase Northern BC’s economy and natural beauty for all users. 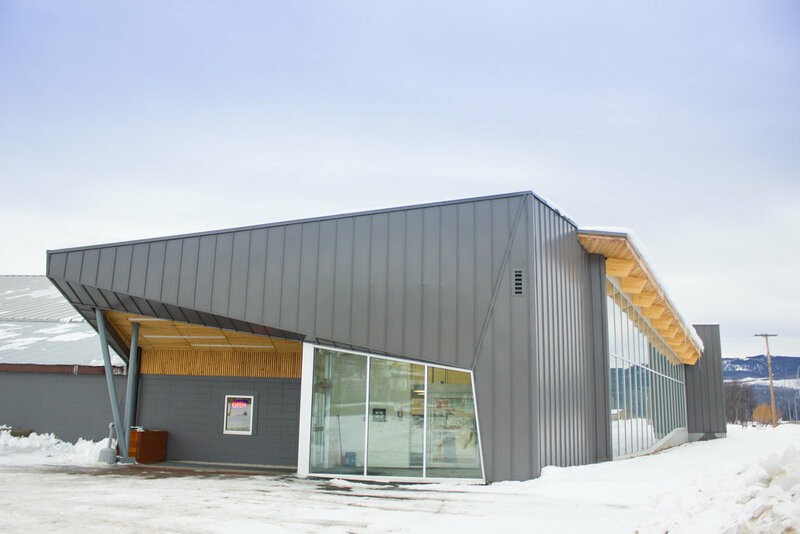 Through a thoughtful intervention, the 5,600 square foot addition streamlines the circulation between the existing arena and curling rink. Having retained CAR and Venture Pacific Construction Management, the project was aimed to unify two disparate facilities; the Ice Arena and Curling Rink, and on the same site, provide a new controlled access point to broaden and mix the uses of the facility. Through a thoughtful intervention, the 5,600 square foot addition streamlines the circulation between the existing arena and curling rink. The addition also includes a climbing wall, a much needed reconfigurable multi-purpose space, refreshed fitness centre, and upgrades to the concession area. Making something out of nothing, or in this case, architecture and space out of a vestibule: in addition to the expanded program brief, the project is made significant by decanting back-of-house circulation to the front and making it part of the public's entry... producing a chance for generosity where everyone wanted it, but no one expected it. When you got it, flaunt it, and Burns Lake has plenty of wood, and were eager to use it extensively.